Room 5: Reading time with Josh and Gene. Reading time with Josh and Gene. This week we have started having students from Room 2 come to read to us in Room 5. Our first readers we Josh and Gene. They read a book called Rosie to the rescue. Amberlee liked when Rosie slipped in the puddle, Jonathan liked the kite. Room 5 were great listeners and can't wait for their next reading time. Room 5 has grown! 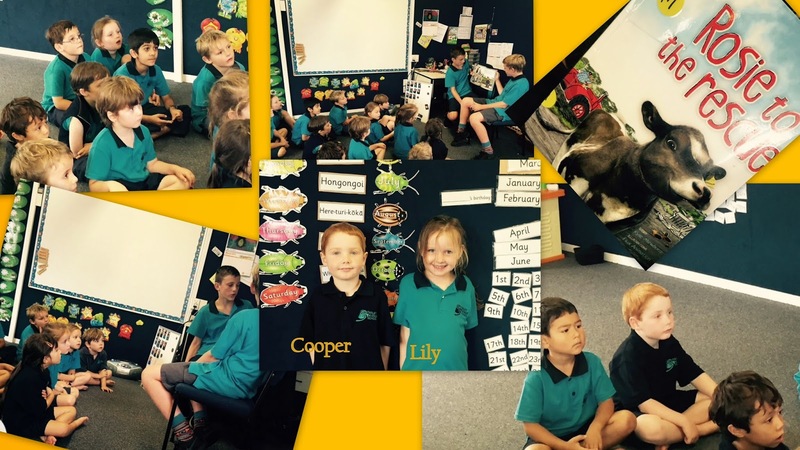 This week we had Cooper and Lily join us. Lily liked decorating her flag in class , Cooper likes playing on the playground. If you see them around, give them a big Stanley Ave welcome. Room 5 is getting bigger.